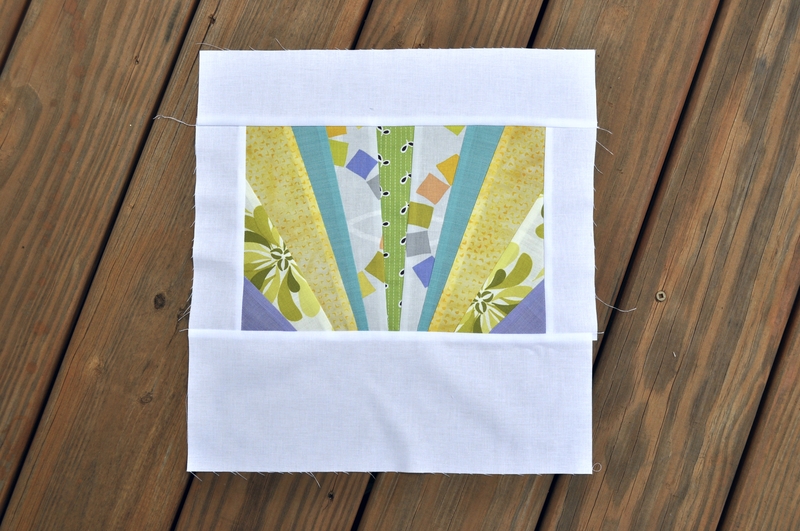 Let's play some more catch-up today on the Traveling Quilts bee. (You can see more information in my previous posts here and here.) 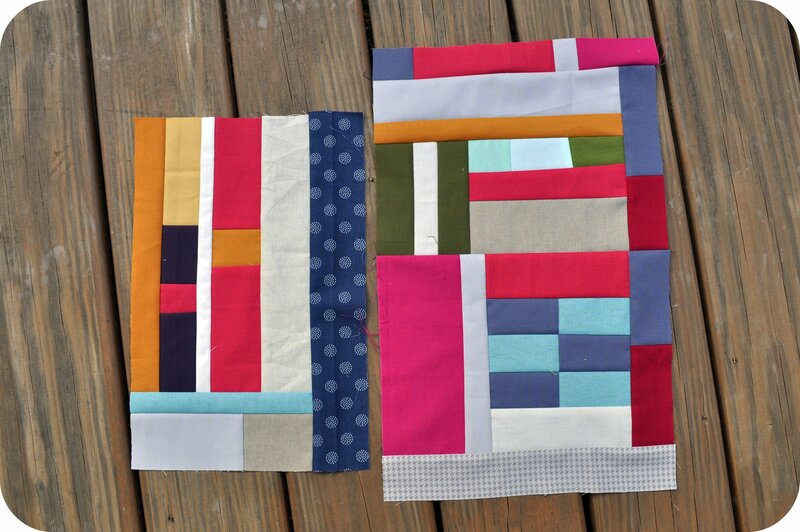 Today I'll be sharing the blocks I made for both Jacquie and Penny. 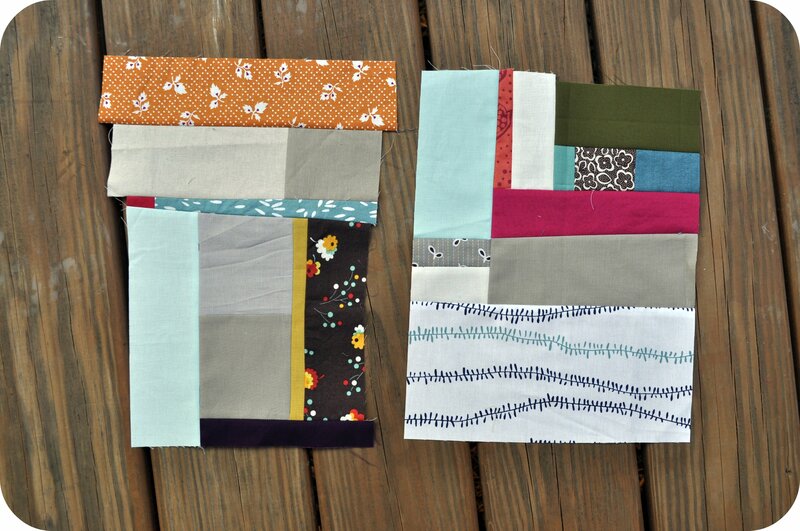 Here are the blocks that Jacquie made to kick off her quilt. 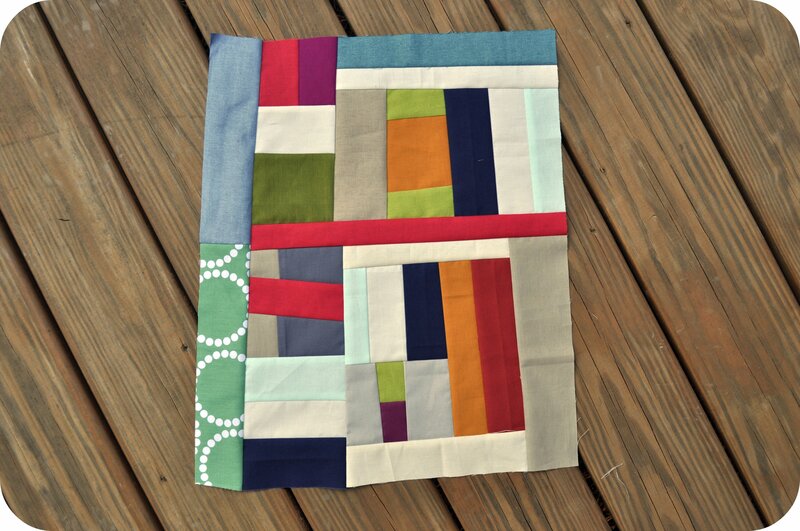 Clearly she was going for a scrappy improvisational quilt using mostly solids. After both Faith and Ashley made their additions, I received the package. One of the first things I did was begin trying to piece a few of the building blocks together, including my own additions along the way. In the photo below, the top 3/4 of the big block were mostly made by others and I just figured out how to fit them all together. 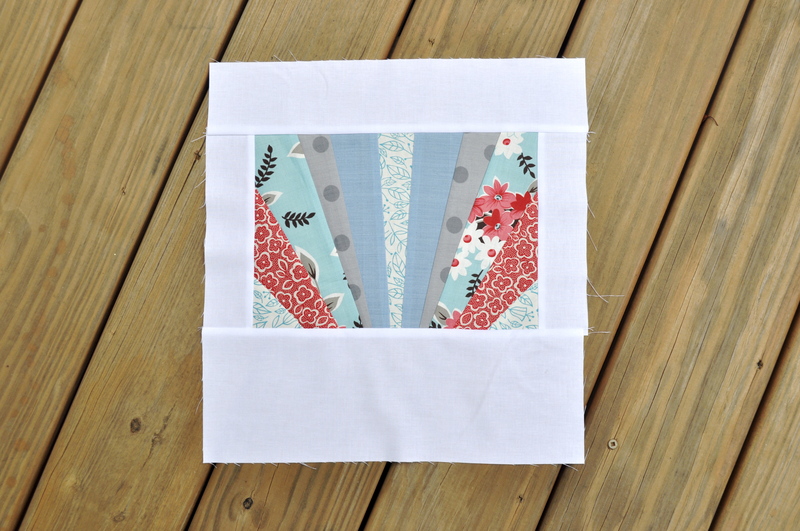 I also added the skinny row across the bottom of scrappy grey and navy squares with white centers. And, I made one more addition to the building blocks pile before sending everything along to Amber. I introduced just a bit of pattern here with the fantastic chevron print on the upper left. Next in the queue was Penny's fun quilt. Penny decided on a "grow" theme, with things like flowers and flowering pots in bright, vibrant colors on a fresh white background. Here's part of Penny's initial piece. When I received Penny's parcel, I quickly decided that, in addition to water, Penny's flowers needed sunlight in order to grow. 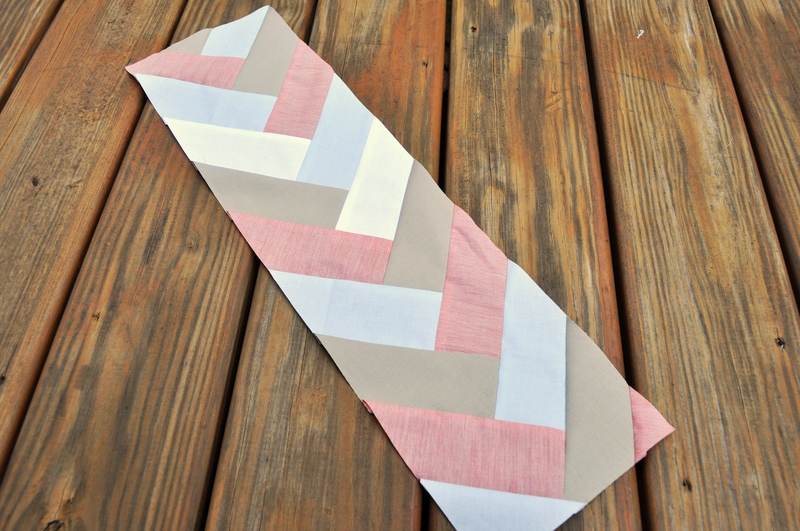 I ordered the "Sunrise" paper-piecing pattern from Carolyn Friedlander's shop and got to work. Once I started making sunrise blocks, I just couldn't stop! Photo courtesy of Elizabeth @ Oh Fransson! See what I mean? 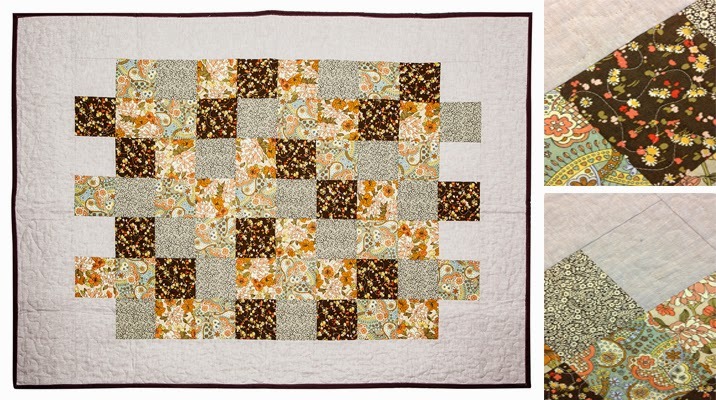 These quilts just get better and better with everyone's additions. 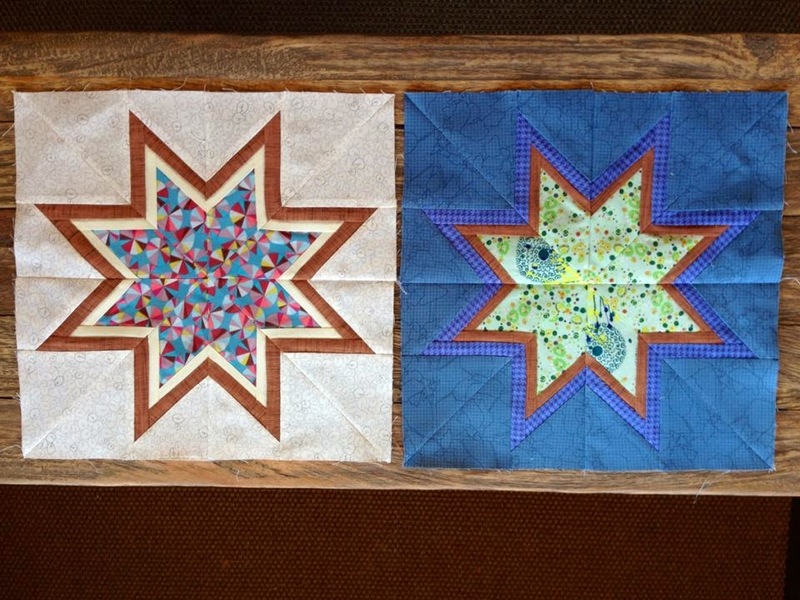 In my next post I'll share my additions to both Dan's and Monica's quilts. Hello from beautiful Pittsburgh, Pennsylvania! This is my first time here and I'm looking forward to doing some exploring while I'm here for Quilt Market through Sunday. At my schoolhouse session later today, I'll be giving out some prizes. Fabric prizes. 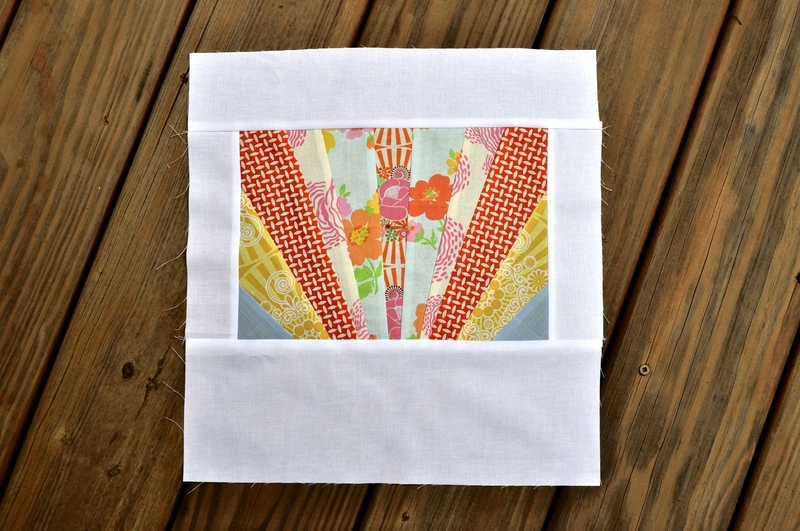 And not just any fabric -- a fat quarter bundle that I pulled together inspired by the quilts in my book! As you can tell from the title, the colors and prints in the book draw heavily from the outdoors, and I wanted this collection to do the same. 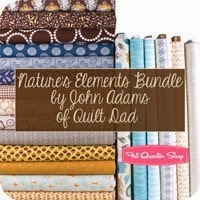 The 20-piece fat quarter bundle (as well as the book) is also for sale at the Fat Quarter Shop! I'd love to see what you make from it. The time has come! 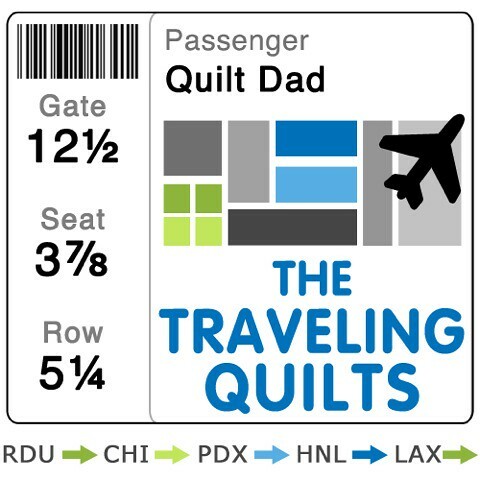 I am beyond excited to be traveling to Pittsburgh later today for another exciting Quilt Market! Not only will it be great to catch up with friends, but I'll be actively promoting the book. I can't wait to talk to people in person about it and to get some real-time, true-to-life feedback. For so long only the team at Martingale and I have seen everything, so this will kind of be like the book's coming out party. I'm also excited to be able to visit Pittsburgh, a city that I haven't had the pleasure of visiting yet. I've heard really great things about it, so I'm looking forward to exploring a bit and getting to know the city better. I'm staying at an airbnb rental for the weekend instead of a traditional hotel, which should be … interesting. Hmmm. 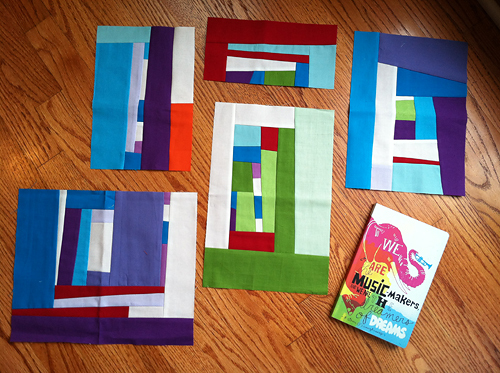 I'll also be hosting a schoolhouse session with the Martingale team tomorrow (Thursday, May 15th) to talk more about the book and show off some of its quilts. If you'll be at market, PLEASE come by room #326 from 3:30 - 4:30 PM and show me some love. I promise a big Quilt Dad bear hug in return. More from market soon! I am sure I'll be posting more regularly over at Instagram (@j_q_adams) than here, so let me know if there's anything in particular you'd like to see from market. I'm Andrew Joslyn, also known as Mr. February of the #NGAQB. I grew up with an older sister and my parents and my family went back-and-forth between the Philadelphia, PA area and Tokyo, Japan. Although more of my time was spent in the US, I always felt like Japan was a second home (maybe my "real" home?) to me. I spent 4 years of high school at the American School in Japan and they were some of the best years of my life. I am still extremely inspired by Japanese culture and art. I owe my life of quilting to my wonderful partner, Chad. He has an addictive personality, so he'll get stuck on something and will put all his energy into that one activity for a relatively short amount of time in an obsessive way. He usually drops that activity and moves on to a new hobby pretty quickly. But a number of years ago, Chad began knitting. He found a great group of other knitters to hang out with and he became hooked! It's the first time I've seen him stick with something for so long! He was making such beautiful knitwear and I became quite jealous. I tried my hand at knitting, but I absolutely HATED it. I mean, it made me so frustrated I just completely gave up. This didn't really surprise me because I've never considered myself much of an artist or "maker." I didn't want to give up on the making, though, so I started wondering whether there was something else that was more my speed. 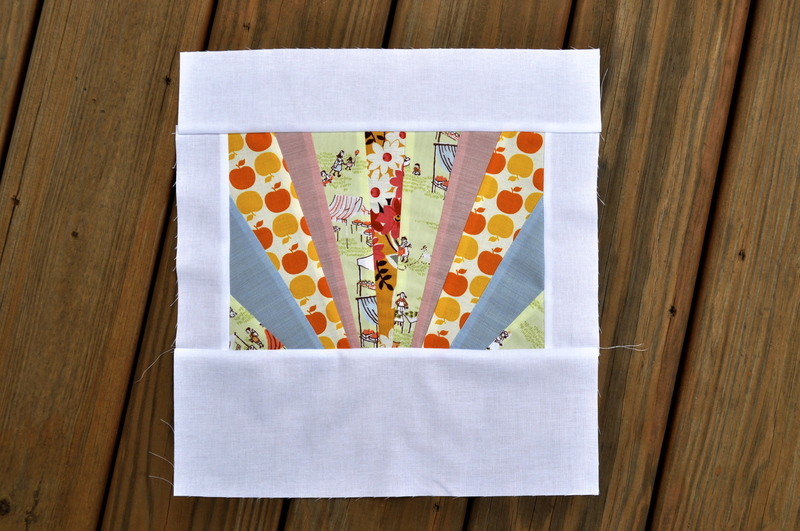 I began with sewing, just making little things like zippered pouches, coffee cup sleeves, knitting needle "roll-ups" etc. Although I enjoyed it a bit, I didn't like the finicky work associated with this type of sewing. 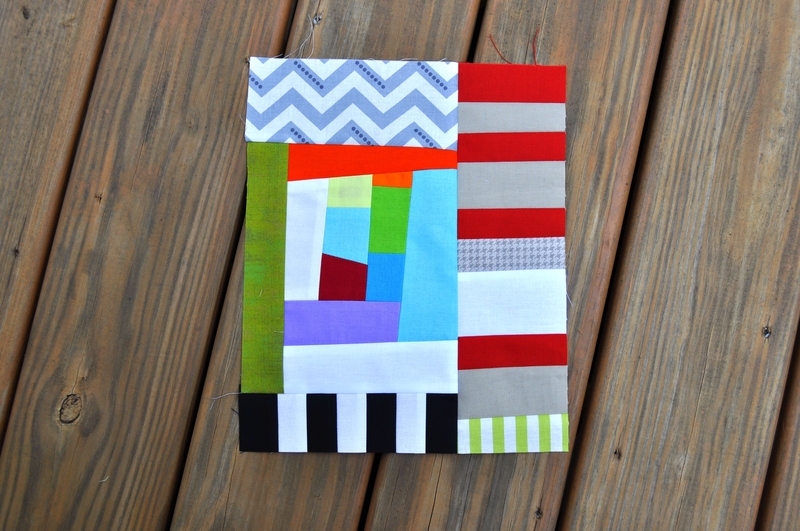 I somehow got it in my head that I should try making a quilt. When I found out that my sister was pregnant in early 2010, I thought that perhaps a baby quilt for my soon-to-be niece was a good place to start. 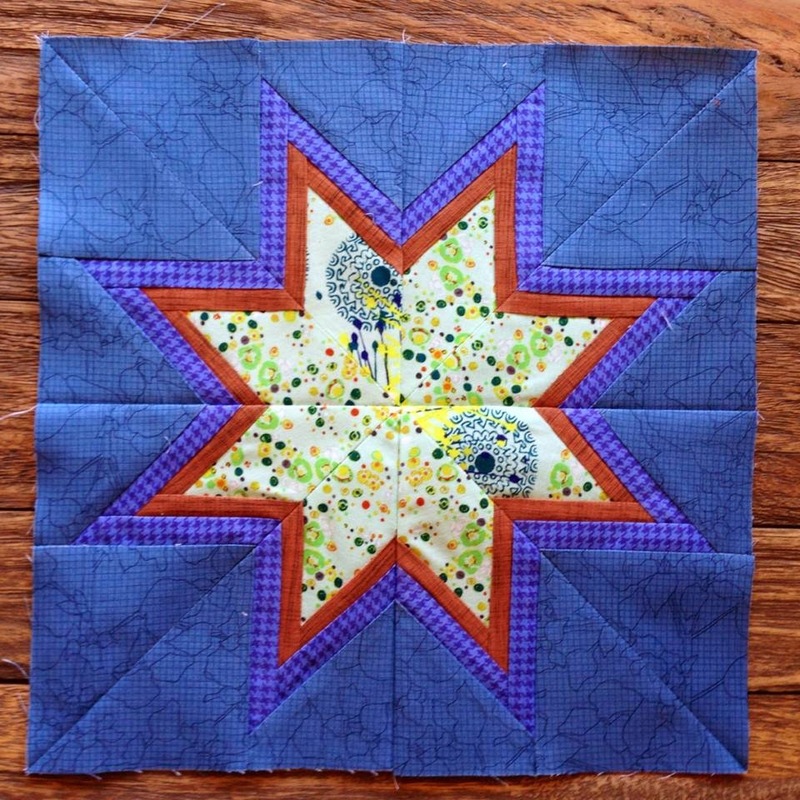 I taught myself using Alex Anderson's "Start Quilting" and I got a lot of great help from my co-worker, who had already been quilting for a few years. That first project was a challenge for me and I made some incredible mistakes and got extremely discouraged at numerous points in the process. Normally this means that I'll never do that activity again, but for some reason, I was so happy with the final result, that I kind of forgot all the pain and decided to push forward with more quilting. 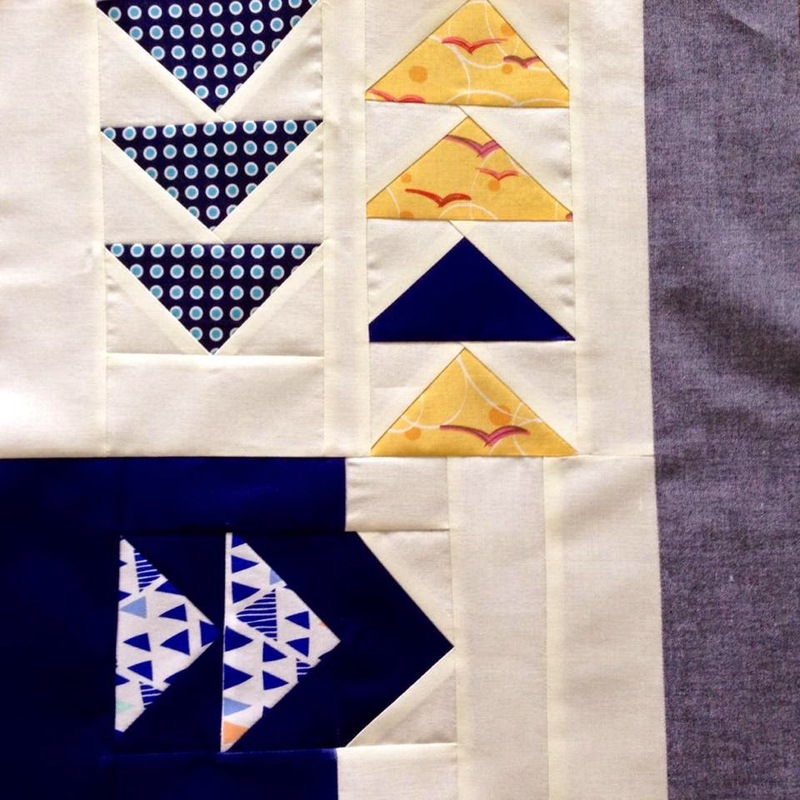 My co-worker quickly convinced me to join a relatively new group called the "Philadelphia Modern Quilt Guild." I met some amazing quilters and made many new friends through Philly MQG and within about 1 year, I became the president of the group! I have been president now for a couple years and it is still a ton of fun. I'm presently spending quite a bit of my time organizing a modern quilting retreat in Lancaster, PA called "Mid-Atlantic MOD" with a couple other awesome quilters from the Central NJ MQG and the DC MQG. You can find me at the following places on the web (I post most frequently at Instagram). You might notice on my blog that I do a bunch of other making too, like jams/jellies, pickles, and now I'm brewing my own kombucha and hard cider! Really looking forward to seeing all of Andrew's blocks come together. Have I mentioned how much fun I'm having with this bee? I can't tell you how much I appreciate the excitement and support that Martingale is showing for my book. Does anyone have their copy yet? Let me know what you think!! I'm excited to see that Martingale is so pumped about my book that they have featured it in some advertising! Here is an ad featured in the Spring 2014 issue of Modern Patchwork magazine (available now.) The quilt shown is called Cayucos and it shows off some of my favorite (and long-hoarded) Joel Dewberry prints. Yeah, trying to add improv blocks to Ashley's amazing start was just a bit intimidating. A tough act to follow, for sure! 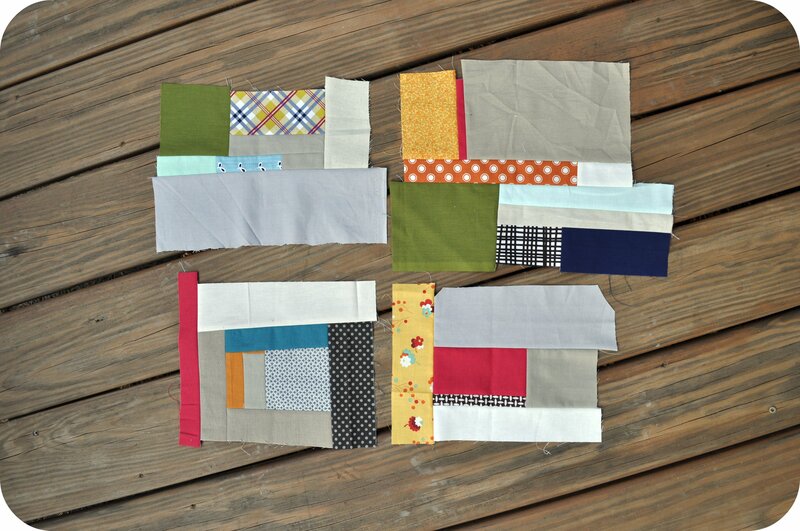 I decided to just pull together a few more building blocks for the quilt without trying to put anything together just yet. After all, it was still early in the bee. 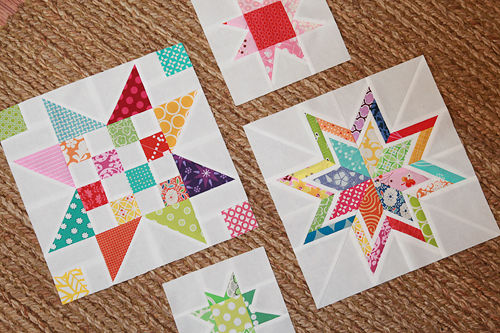 I also made a few more smaller stars and even built upon some of Faith & Ashley's blocks. 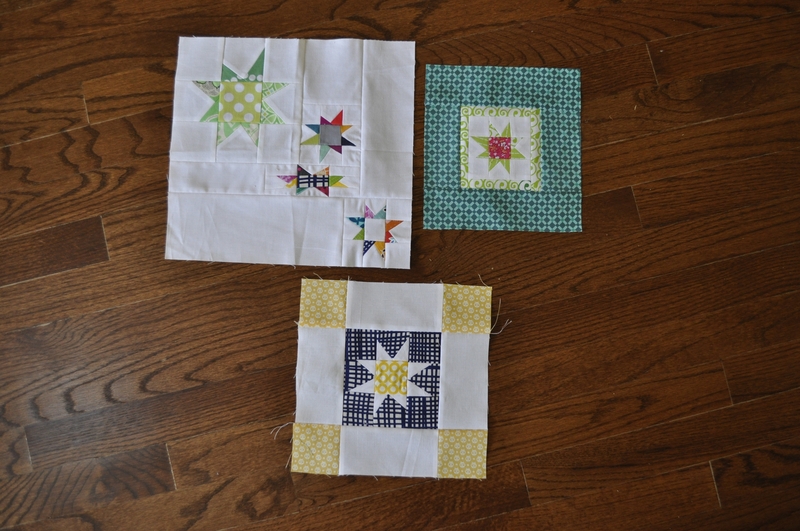 Again, because we were so early in the bee, I kept the stars unattached so they could be building blocks for a later quilter. 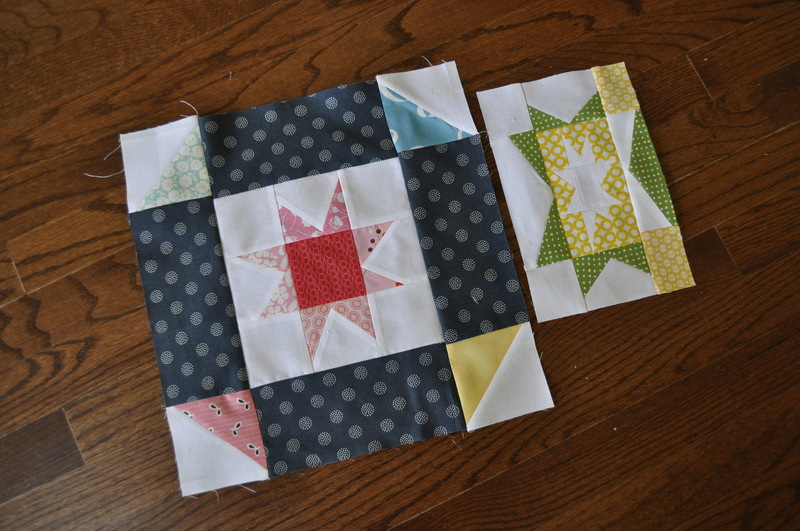 Next up: my blocks for Jacquie and Penny! 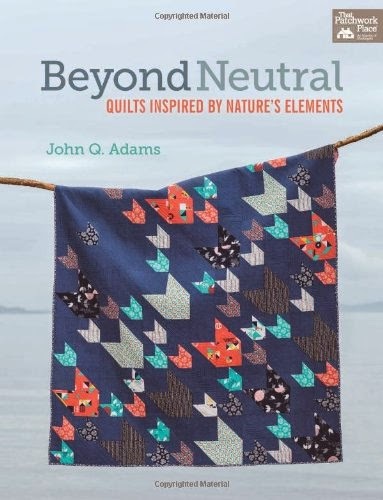 I am excited to announce that Beyond Neutral: Quilts Inspired by Nature's Elements, my first book with Martingale, is finally available for purchase! I've already showed some of the interior pages from the book but wanted to start sharing some sneak peeks of the quilt projects. 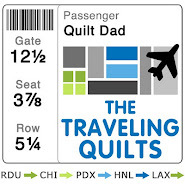 One thing I haven't shared yet is how I named the quilts in the book. 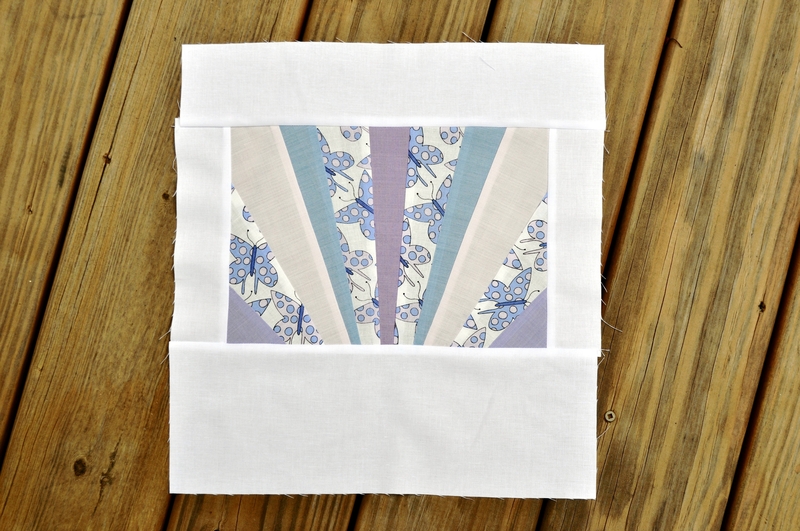 Since I drew my inspiration from nature for both the quilt designs and the fabric used, I felt it was only right to use that inspiration to name the quilts as well. To that end, I named every quilt in the book after a U.S. National Park or State Park! First up is my cover girl, Pacific Crest. 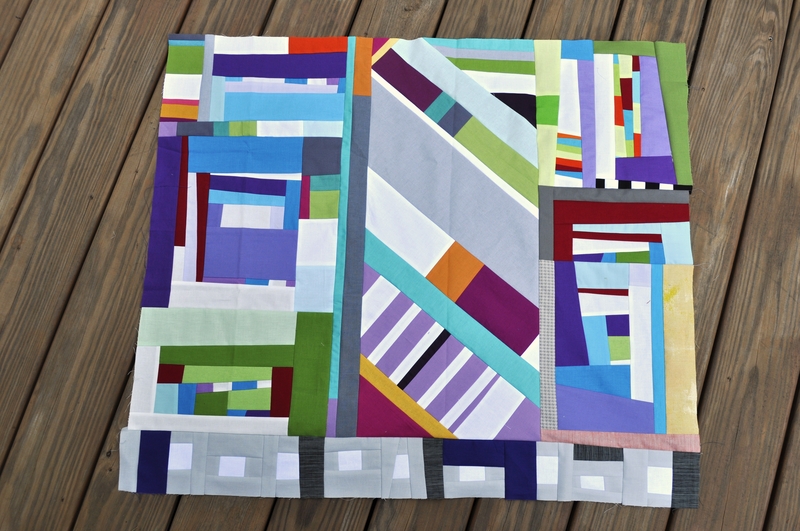 This quilt has been getting a lot of attention! I used Rashida Coleman-Hale's Tsuru collection and a blue background. 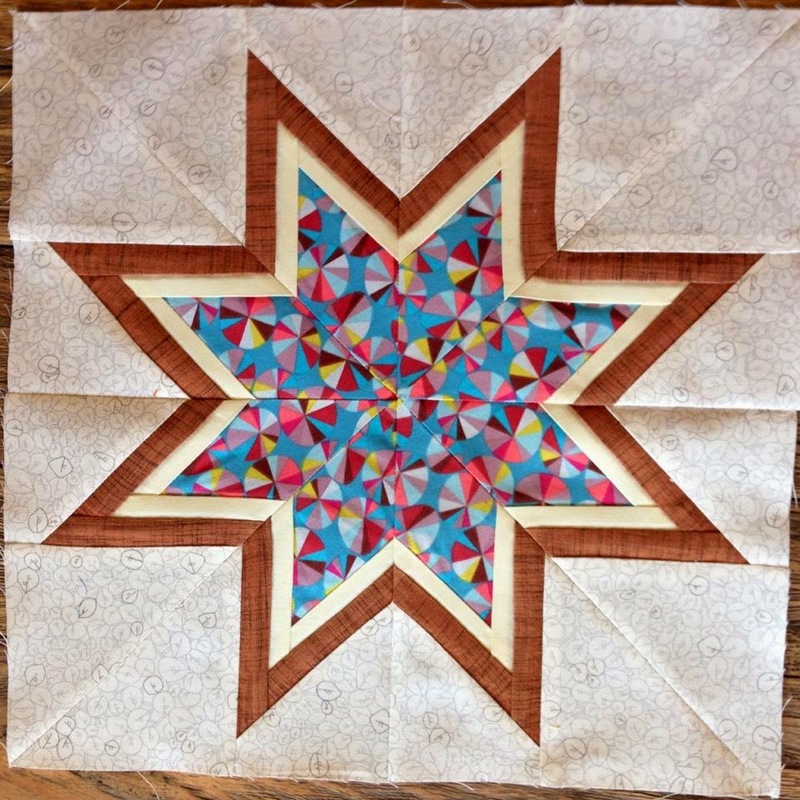 I'll be teaching this pattern at Q First in Quilting in Lexington, Kentucky next month! Hope to see some of you there. 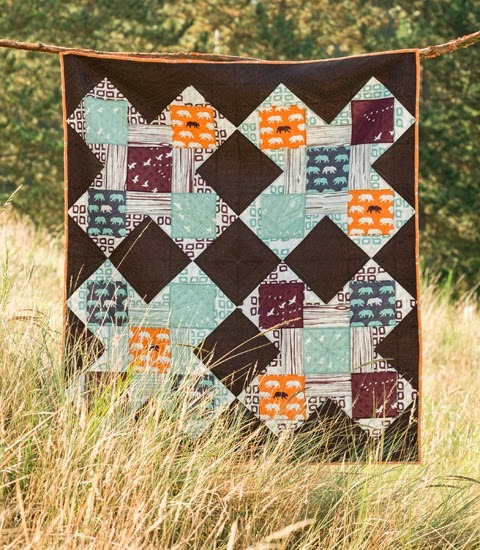 Here's Katmai, a quilt featuring 4 extra-large blocks that bridge traditional and modern block designs. 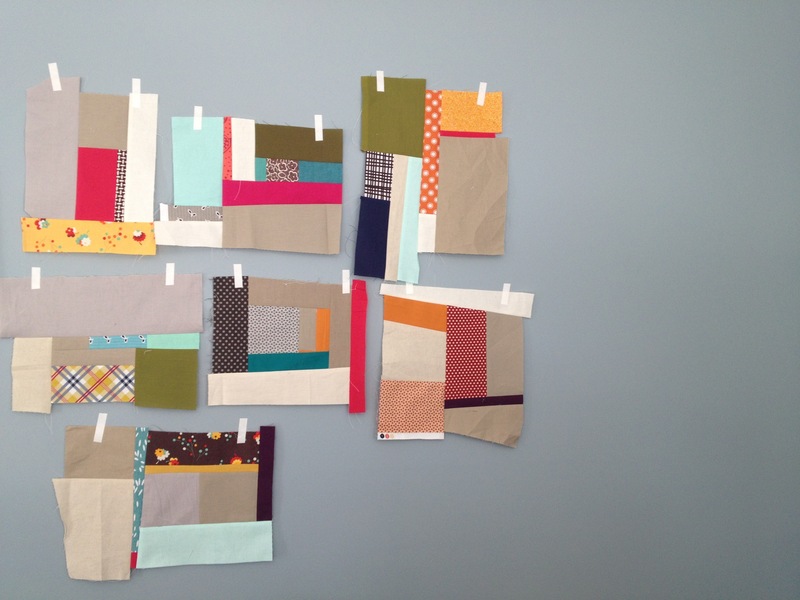 I loved working with the organic Camp Modern collection from Birch Fabrics. And finally, meet Raven Rock. 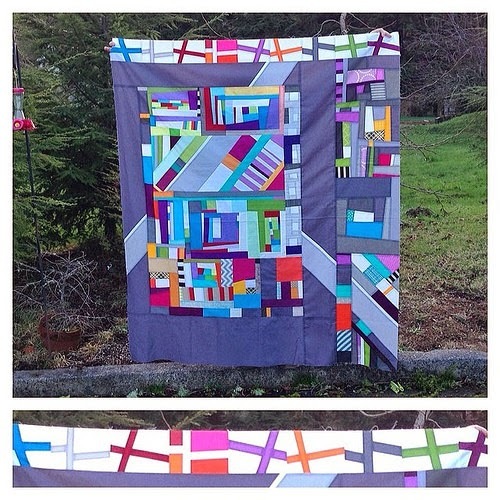 This quilt might look familiar to those of you who've read Modern Quilts from the Blogging Universe, where this quilt was first published as A Shift in Perspective. 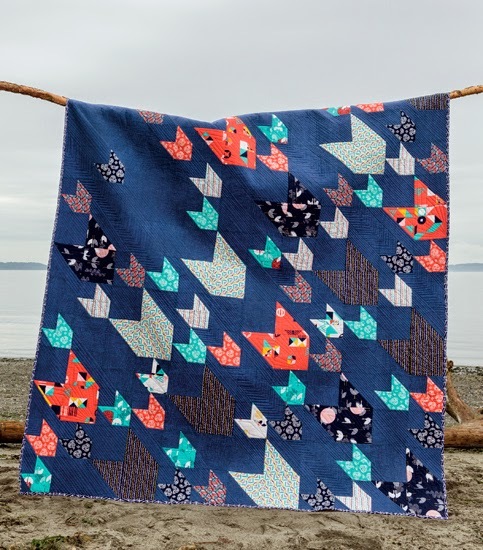 Although the book was originally intended to include 15 patterns, this quilt fit so well into the collection that I decided to reprint it as a bonus 16th pattern in the book! Link to purchase at Amazon. Link to purchase at the Fat Quarter Shop. Link to purchase at Barnes & Noble. If your shop is selling Beyond Neutral, please let me know and I'll update this list. 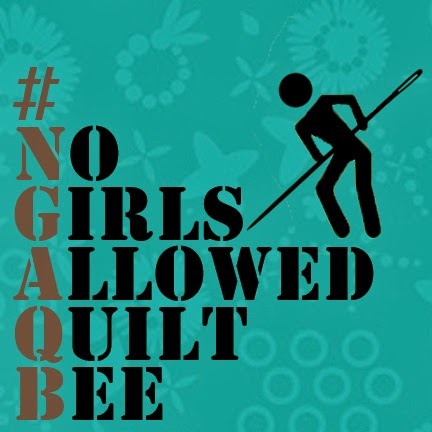 OK, now that it's May I guess I'd better start catching up on posting my #NGAQB blocks! I'll post them by month, beginning with the first month of the bee. Each of the guys in the group has written up a small bio so that, if you're not already familiar with him, you can learn more about another amazing manquilter. Mr. January is Sandy Greenberg, aka "Curly Boy." Although you might not know Sandy, I'd bet you're familiar with his wife, Brioni Greenberg, who has been mentioned numerous times on this blog. Brioni was one of my fellow Fat Quarterly co-founders and is one of the most talented (and sweetest) quilters I've ever had the pleasure of meeting. 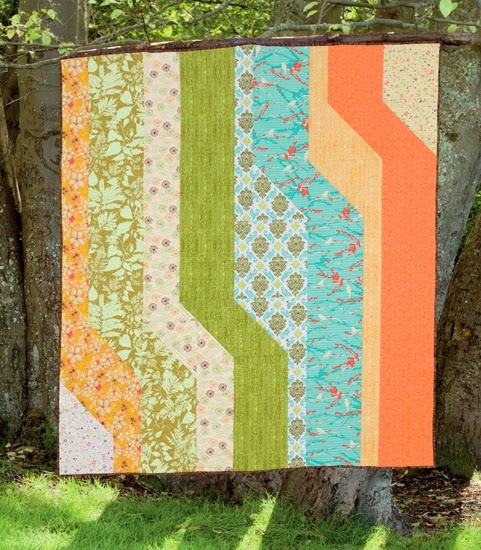 I was so excited to see that her husband caught the quilting bug. I’m Sandy Greenberg. I was born in 1969, while men were walking on the moon, in the suburbs of Chicago. Being an only child I was given lots of attention and, since both my parents were teachers, my creativity was encouraged. I studied art in high school, at Illinois State University and finally got my degree from The School of the Art Institute of Chicago. I didn’t do much with it, other than get a job screen printing t-shirts. The creative bug was pretty much burned out of me. Fast forward a decade or two and after a pretty serious work accident (I sliced open my wrist cutting nine of twenty-two tendons, one of three nerves and one of the arteries) I met a lovely Yorkshire lass online. Days and sparks flew and I moved to Leeds, UK and got married in 2002. We have a lovely 4 year old boy who has been with us for 2 ½ years now. We also have three cats called Jimmy (13 ½), Maggie (5) and Norman Price (14 weeks). I like reading and watching Science Fiction, watching motor sports, travelling, and having fun with my boy. I am married to the super talented Brioni Greenberg, aka Flossyblossy. She’s been a quilter for about 6 years. She is one of the founders of Fat Quarterly eZine and is co-author of FQ’s first book (the second is on its way). She also had her first solo book come out this summer, 25 Ways to Sew Jelly Rolls, Layer Cakes and Charm Packs. Having this influence in the house, and being constantly surrounded by fabric and projects it was pretty hard not to take an interest. 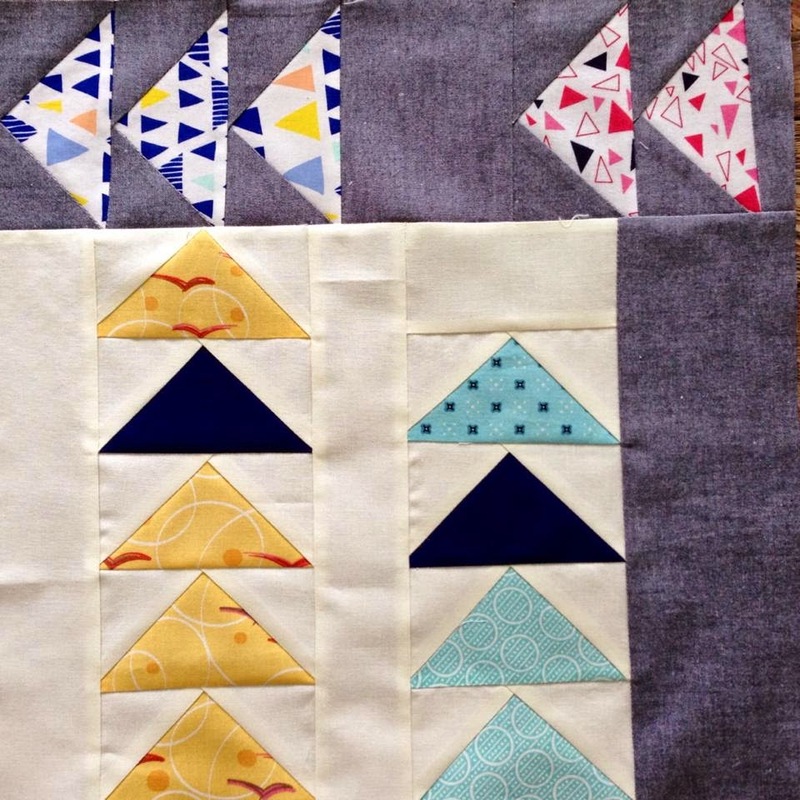 I approach quilting as a technical challenge. I am less bothered by the outcome and am more interested in the process. 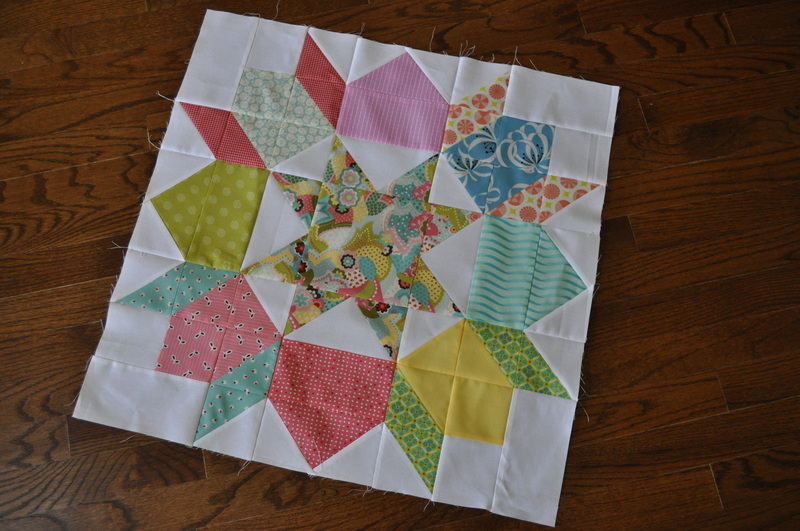 I LOVE paper foundation piecing! I have no interest or love of fabric however. I pay no attention to lines or designers, just pretty colours and patterns. I’m a fearless skilled amateur. My second ever project was a pattern of curved flying geese of my own design and everyone thought I was brave and crazy. I just did it because no one told me that I couldn’t. 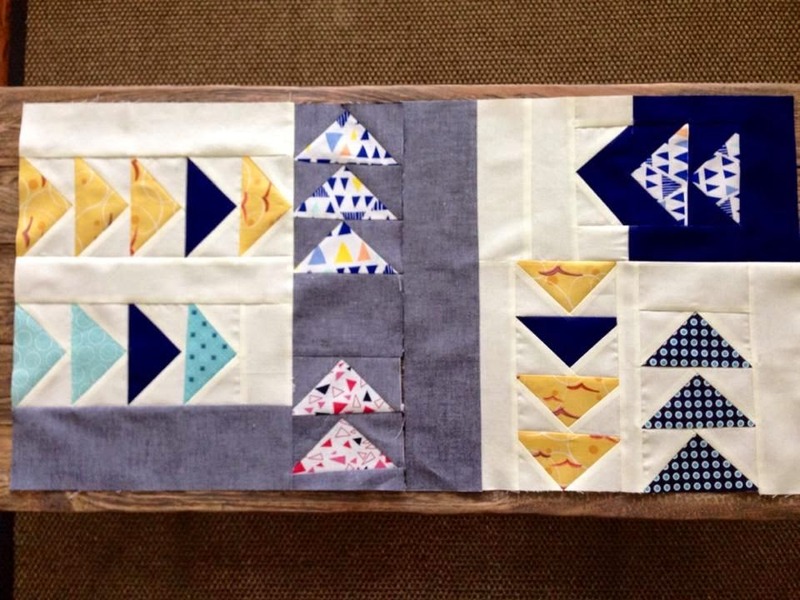 Although paper piecing is not really my forte, I still had a lot of fun selecting fabric combinations and putting these blocks together for Sandy. Thanks for the challenge, my friend! 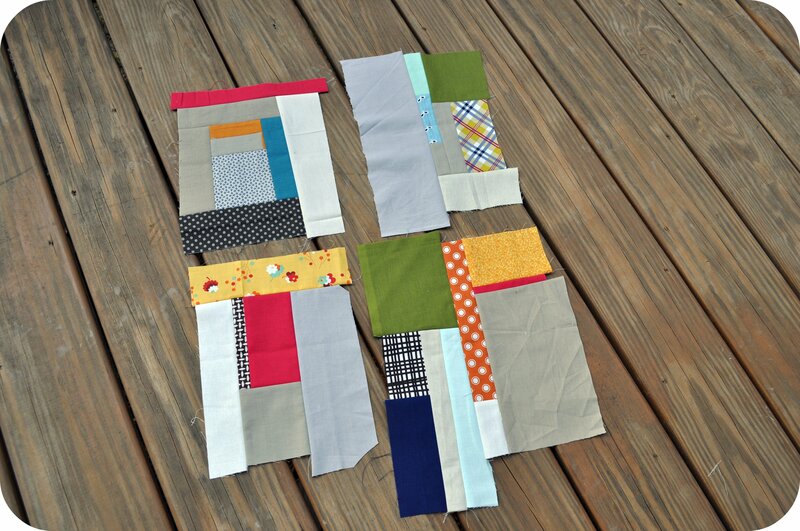 Coming soon: my blocks for Mr. February, Andrew Joslyn.